Master Photographers Association's Welsh Region 2010 Annual Competition. every year it holds regional and national competitions. a rapidly ascending star in the world of professional portrait and wedding photography. judged by very 'high-ranking' professionals who applied some very strict judging criteria. outdoors in natural daylight, and I am looking forward to taking some studio pictures of Laura very soon. In the same 2010 competition I also received a Merit Award for an entry in the 'Industrial & Architectural' category. in the 'Industrial & Architecture' and 'Commercial & Advertising' categories. Swansea and the surrounding area in South Wales is where you'll find me, Mike Roberts, taking portraits and wedding photographs. My studio is in Port Talbot, South Wales. Commissions are undertaken throughout the UK. 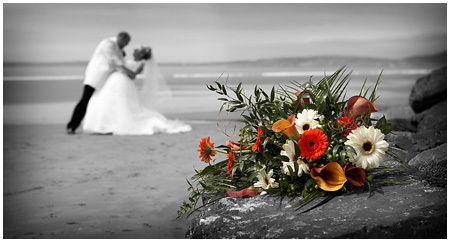 Weddings are mainly undertaken in Swansea, Cardiff, Bridgend, Porthcawl, Port Talbot, Neath, Llanelli, Carmarthen, Brecon and Haverfordwest. The galleries of wedding and portrait photographs shown are just a small selection of my work. Please enjoy yourself as you have a look around. If you like what you see and you want to find out details regarding availability and prices, or if you want to visit the studio to see more work and examples of complete albums, please follow the contact link above. The Celtic Manor, The Vale of Glamorgan Hotel, Miskin Manor, The Coed Y Mwster Hotel, The Orangery at Margam Park, The Towers Hotel, The Glyn Clydach Hotel, Craig Y Nos Castle, The Dragon Hotel, The Marriott Hotel, Morgans Hotel, Gower Golf Club, The King Arthur, The Oxwich Bay Hotel, The Stradey Hotel, The Diplomat Hotel, The National Botanic Gardens, The Fig Tree, Llangoed Hall, and Picton Castle. I have a valid passport and am prepared to work in Barbados, Jamaica, Antigua, The Cayman Islands, The Bahamas, The Maldives, and anywhere else west of Briton Ferry.